Entry-level cars are not the most glamorous vehicles in an automaker's lineup, but Nissan put its redone 2020 Versa subcompact sedan in a glitzier light today by unveiling it on the beach at Rock the Ocean's Tortuga Music Festival, three days of country, rock and roots music in Fort Lauderdale, Fla. The car has its own Versa Village space at the festival, and the car is making its debut during a surprise performance by country music star Kane Brown before his appearance on the festival's main stage. The redesigned Versa sedan also will be displayed in a more traditional setting at the 2019 New York International Auto Show. What we won't see anywhere is a 2020 Versa Note hatchback version; it's been discontinued, leaving only the sedan to carry Nissan's starter-car flag into 2020. 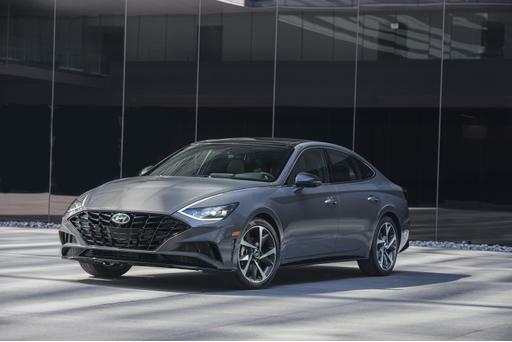 The new sedan is cuter, techier and a bit more powerful, but it enters a world that's not been kind to subcompact cars and has caused some makers to get out of the business entirely. The Versa will, however, take on updated competition that includes survivors such as the Hyundai Accent, Kia Rio and Toyota Yaris. "As other nameplates exit the field, we see a real opportunity to build our segment-leading market share and nurture this crucial group of new-car buyers," Claudia Marquez, Nissan sales vice president, said in a statement. Nissan says that sedans remain popular for millennial, Generation X and multicultural buyers. Pricing has not been announced for the 2020 Versa sedan, due on sale this summer. But for the 2019 model year, it has offered the lowest entry point among rivals, at $13,255 (including a destination charge) with a five-speed manual transmission. Price matters for these budget cars — often a buyer's first new car — though the Versa also has stood out as a little bigger than most rivals, with a roomier cabin and trunk. But the 2020 Versa sedan also faces competition in the Nissan showroom from the subcompact Kicks, a boxy small hatchback with a more popular SUV-like shape and sticker price not hugely higher. The outgoing Kicks was a bit of a lumpy dumpling in styling. The new Versa gets a makeover, picking up Nissan design elements we've seen on the brand's other new vehicles. The front end is more sculpted and better proportioned. It has a deep dip, incorporating a Nissan V-Motion grille, stretching into more modern headlight assemblies that include boomerang-shaped daytime running lights. An upswept hood and side sculpting accentuate the sloping, coupe-ish roof, which has a divided back pillar for a floating-roof effect. 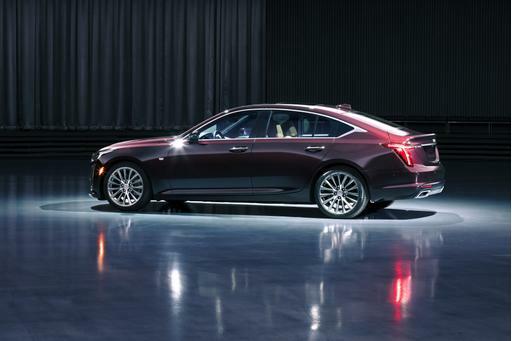 This ends in a short trunk lid with an upturned lip and boomerang-shaped taillights that echo the front — but overall, the design runs out of gas a little in the rear. Nissan promises bright colors for the little sedan, including Electric Blue Metallic and Monarch Orange Metallic, but there is no mention of a contrast-color option for the divided roof as is offered on some Nissans. The interior has a more grown-up look with a sculpted and upswept dashboard, and redone door panels and seats that shed a little of the budget-car feel. A higher trim shown adds contrast stitching in what appears to be a soft-touch dashboard wrap as well as on the seats. The beltline dips low to the front, and side mirrors have been moved to the doors, which should aid visibility as well as the feeling of space. A size was not given for the new center dashboard touchscreen (the 2019 has a 7-inch screen), but it also includes welcome volume and tuning knobs along with shortcut buttons. Apple CarPlay and Android Auto are available but are not standard on all trim levels. Remote keyless entry and push-button start are standard; heated front seats and automatic climate control are available. 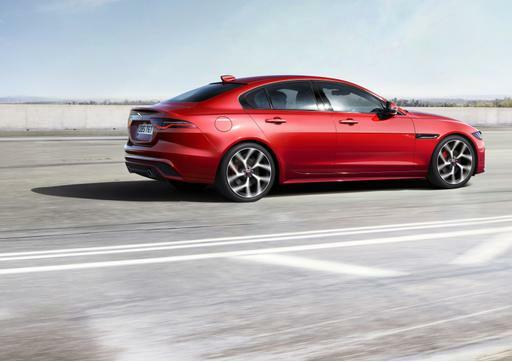 The 2020 gets a pinch of added zip — much needed, but we'll have to drive it to see how noticeable it is — from a revised 1.6-liter four-cylinder that now puts out 122 horsepower and 114 pounds-feet of torque; that's up from the 2019's buzzy 109 hp and 107 pounds-feet. It's mated to a standard five-speed manual or a continuously variable automatic transmission. Budget cars no longer are out in the cold when it comes to safety and driver assistance tech. The 2020 Versa's standard features include a front collision system with automatic emergency braking and pedestrian detection, rear automatic braking, lane departure warning and high-beam assist. Available are a blind spot warning, rear cross-traffic alert, driver alertness warning and adaptive cruise control.